Bargain-buy Costello will take on benchmark three-year-old The Autumn Sun in the Rosehill Guineas. In an era when yearlings regularly sell for six and seven-figure amounts, David Payne has proven to have an eye for a bargain, particularly with the family of Rosehill Guineas contender Costello. Payne has already had success with two of Costello’s half-siblings and happily paid $40,000 for the son of Melbourne Cup winner Americain. “And now I’ve bought him for 40 (thousand) so it’s been a good family to me, and they’ve all been cheap horses,” Payne said. 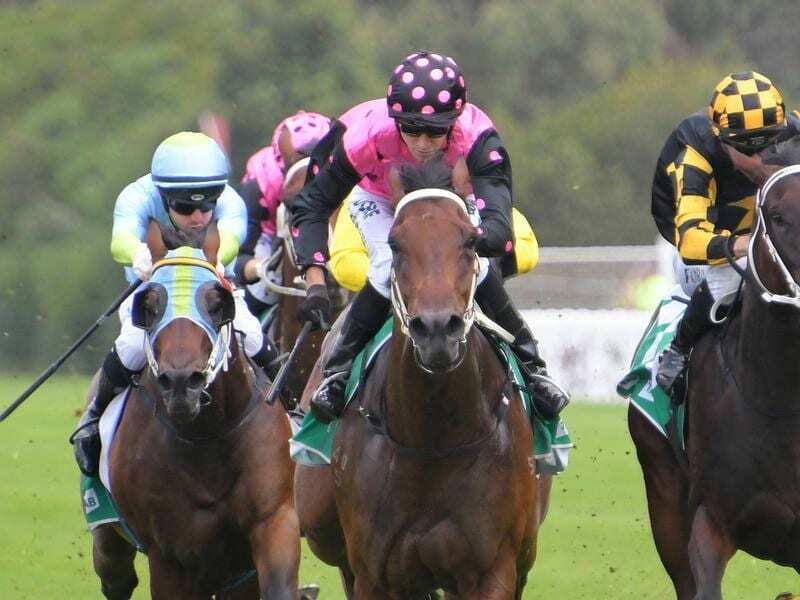 A promising stayer, Costello has won three of his seven starts, the past two in a row. He is unbeaten at distances of 1600 metres and longer and Payne expects him to relish the step up to 2000 metres in the Guineas. Nor does he expect a rain-affected track to trouble the horse. “He’s versatile. His half-brother Be Like Dad was a mudlark and he’s by Americain so I don’t think it should worry him,” Payne said. “The further for him the better. He’s a real staying horse and he’s got a little bit of class about him. Payne’s main goal with Costello is the ATC Australian Derby (2400m) at Randwick next month but he is confident the horse has the quality for a top-three finish at Rosehill. He will need to be every bit as good as Payne hopes he is with the race attracting a strong contingent of Kiwi three-year-olds including New Zealand Derby winner Crown Prosecutor and Madison County, an eye-catching fourth at his first Australian start in the Randwick Guineas. But the champion trainer has no doubt local star The Autumn Sun is the horse to beat. Wagering operators agree and have installed The Autumn Sun a $1.55 favourite with Madison County ($8.50) the only other one of the 13 runners under $12.